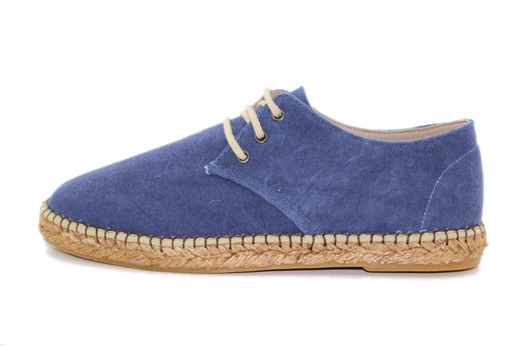 An espadrille twist on the everyday tennis shoes, these Classic Laces in Blue Jeans offer a modern take with their traditional braided jute lining. These men's espadrilles have a lower profile than our Classic Boot Style. Handmade in Spain, all of Laro Espadrilles are equipped with vulcanized rubber soles for durability.